Linking up to Mama Kat’s Writing Workshop today. The prompt I chose is to write about my first car (thus the title of today’s post). As my high school graduation neared, my mom offered to put a down payment on a car for me once I found a job. I wasted no time getting that done. The car we found was a (used) 1964 Mustang, yellow with black interior. I entered the world of car payments, car insurance and car maintenance. Oh, and this Mustang also had a manual transmission: 3- speed in the floor. On the day I was to take possession of MY car, a co-worker dropped me off at the dealership after work. For some reason, I thought I knew how to drive a straight shift. Although I really can’t remember why I would have thought so. And attempting to drive MY car away from the dealership only reinforced my inability. But I huck-a-bucked on home and practiced until I perfected driving a straight shift. And once you learn to “drive a stick”, you never forget. I was very proud of my little car. Unpleasant memories of my Mustang include backing into a tree in our yard (no damage to the car). But it gave my mom a chance to teach me a lesson: no matter where you’re backing up, there’s ALWAYS, at some point, going to be something to stop you. I also forgot to check the oil regularly, but thankfully figured out that problem before any damage was done to the engine. Another lesson from mom: it’s more important to keep check on the oil than the gas. You can’t drive a car when the gas tank is empty, but you can drive it with too little oil. And do lots of damage. But there were fun times and good memories with my Mustang. Those were the days of Maggie May on the radio, and 8-track tapes (for me, it was Three Dog Night, Neil Diamond, The Grass Roots) if you were lucky enough to have a tape player in your vehicle. 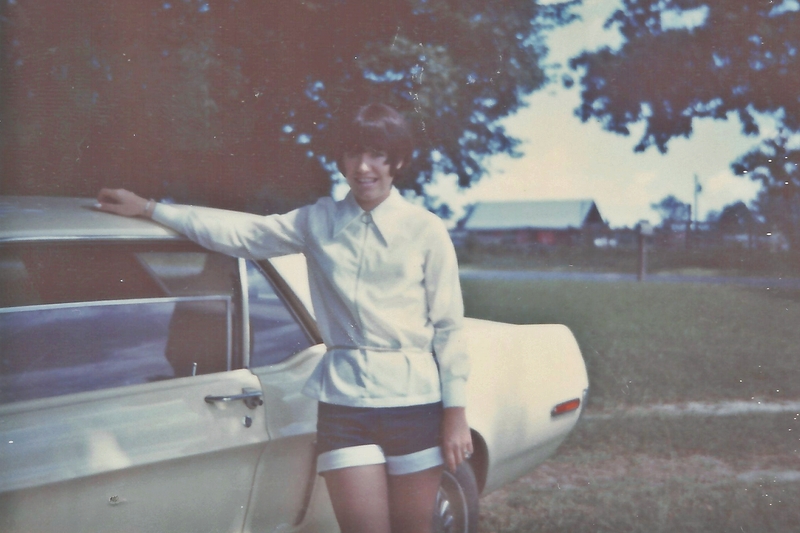 I traded in the Mustang a few years later on my dream car: a (used) 1969 Chevelle. But that’s a blog post for the day that Mama Kat’s prompt is “My Second Car”.